The IOFM keeps members up to date on best practices for identifying and mitigating regulatory risks related to: 1099/1042s, W-9/W-8, Unclaimed Property, OFAC, Sales & Use Tax, Value Added Tax. The Institute shares peer-tested policies and procedures and supports AP practitioners in their role as the last line of defense against fraud and abuse. As we approach 1099 season, it's crucial to have a risk mitigation and communication plan in place to deal with an eventual audit. 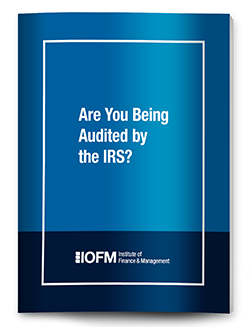 Learn the five things AP departments need to have nailed down — and the six things the IRS will ask for — if it initiates an audit. I am interested in more information around best practices for tax IDs (or local equivalent) internationally. Is the SDN (Specially Designated Nationals List) from OFAC integrated with S.A.M. (System for Awards Management) which now includes the EPLS (Excluded Parties List System)? We are a US company which has a presence in Canada.